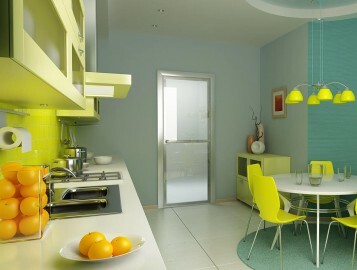 CLEANING RIGA offers professional cleaning services for apartments, houses, offices, hotels, hostels and other premises. Employees of our company will easily eliminate unpleasant odours and clean dirt from all the most hard-to-reach areas. It is hard to perform these tasks all the time – and they take a lot of energy, time and money. That is why you can leave these tasks to true professionals and specialists! Houses and apartment – We clean based on an agreed set of works which depend on the condition of the premises and how much you would like done. Our experienced employees will thoroughly clean living premises of all kinds and sizes. Cleaning of offices – a step towards successful business. 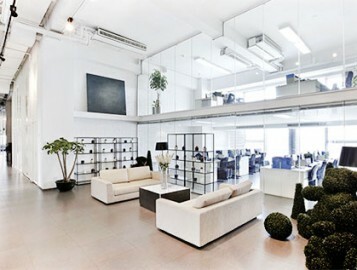 Clean premises are indicative of the high status of their owner and a serious attitude towards business. By ordering professional cleaning of offices, you will impress not only your clients and employees, but also your business collaboration partners. Hotel and hostel cleaning is a difficult task, but our employees will handle it easily. Years of experience and skills in cleaning and preparation of premises for new guests allow us to do the job efficiently and economically with a minimum of fuss. 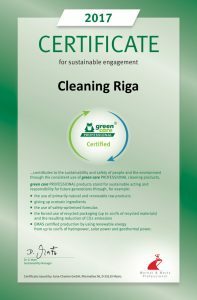 Our company has provided cleaning services in Riga and Jurmala since 2010. Experienced team, modern equipment and professional cleaning products allow us to handle any challenging cleaning projects and tasks efficiently. Optional services and premises preparation for those special events. You can order full or partial cleaning, furniture cleaning, cleaning of interior accessories, as well as many other things.